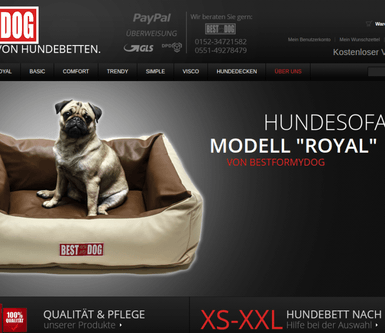 WebMeridian Team have implemented an Iteration of ongoing support for https://bestformydog.de site. We made a catalog transformations due to requirements uploaded updated products to eBay shop made a minor frontend customizations and layout changes removed a zoom. WebMeridian Team have implemented an Iteration of ongoing support for https://bestformydog.de site. We made a catalog transformations due to requirements uploaded updated products to eBay shop made a minor frontend customizations and layout changes removed a zoom.